Gwen Lafleur and Cat Kerr! Cat Kerr writes: "I admire and respect Creatives such as Artists, Music Makers and Photographers....but I also admire Scientists, Archaeologists, and Astronauts. You might not immediately think of the latter as creatives, but they are. 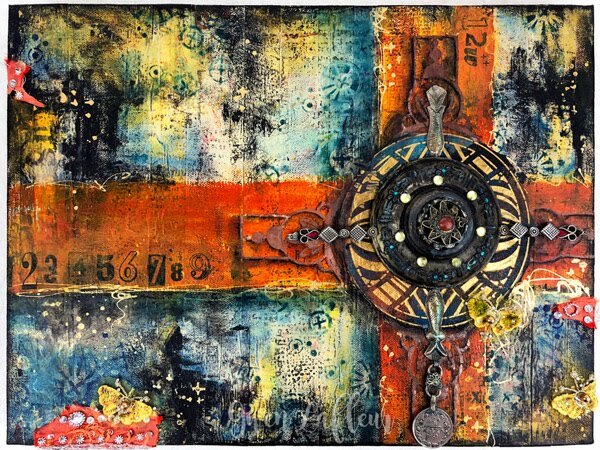 A Creative is anyone that thinks outside of the box. Someone who sees the world a little bit differently than others do. A problem solver, an investigator, a collector (of ideas, images, color, of data) and someone who above all, is innately curious. 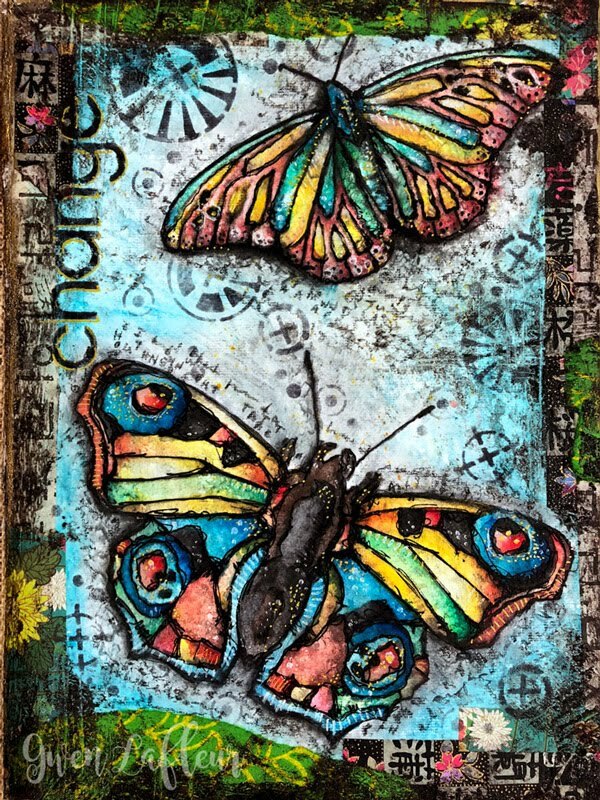 "These stencils were inspired by the other world of creativity. The world of math and science and ideas." Many brilliant, dedicated and determined women have pursued science over the years. 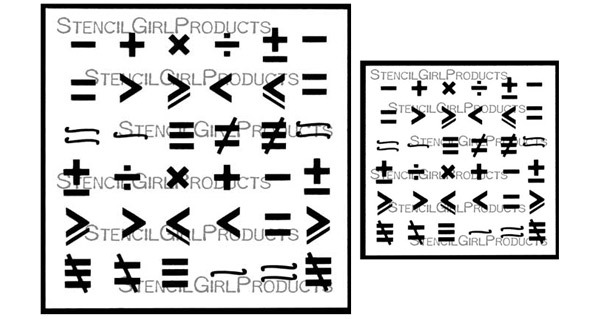 Cat Kerr created this Math Woman Stencil in homage to their contributions. 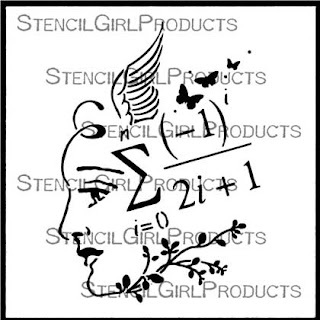 Genius with a dash of elegance make this stencil perfect to make a bold statement in your art. 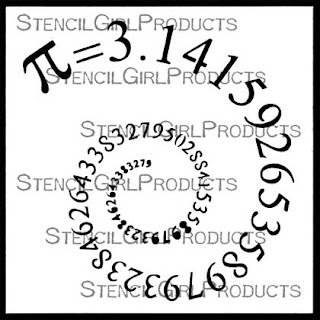 "Pi" No number can claim more fame than pi. 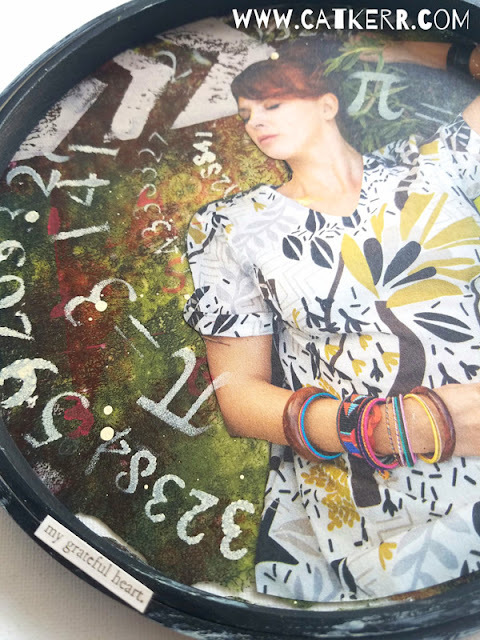 Defined as the ratio of the circumference of a circle to its diameter this equation rocks Cat Kerr’s world because it turns out to be an "irrational number," meaning its exact value is inherently unknowable. How cool is that! The language of Math and Science. Mathematicians and scientists record their discoveries in a language built on symbols. 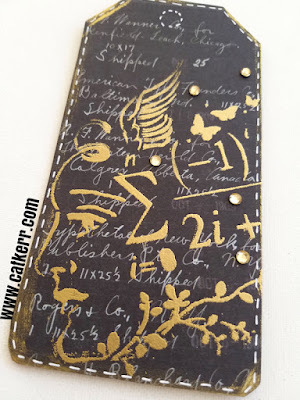 Cat Kerr’s Math Symbols Stencil comes in small and mini so you can size at will, eureka moments in your art work. 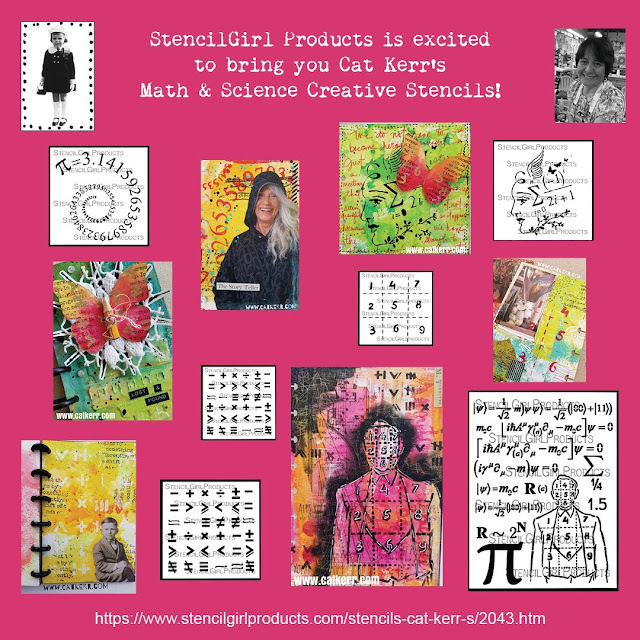 The pattern of lines and numbers in Cat Kerr’s mini Math Grid Stencil works great as a standalone or painted repeatedly as a backdrop to fearless art. 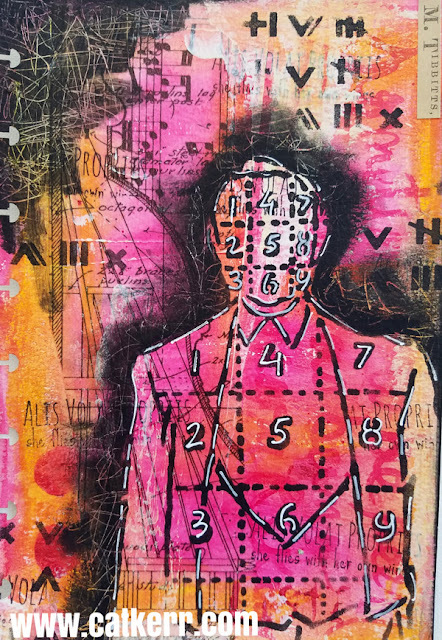 No proofs, no math tests, just art making. 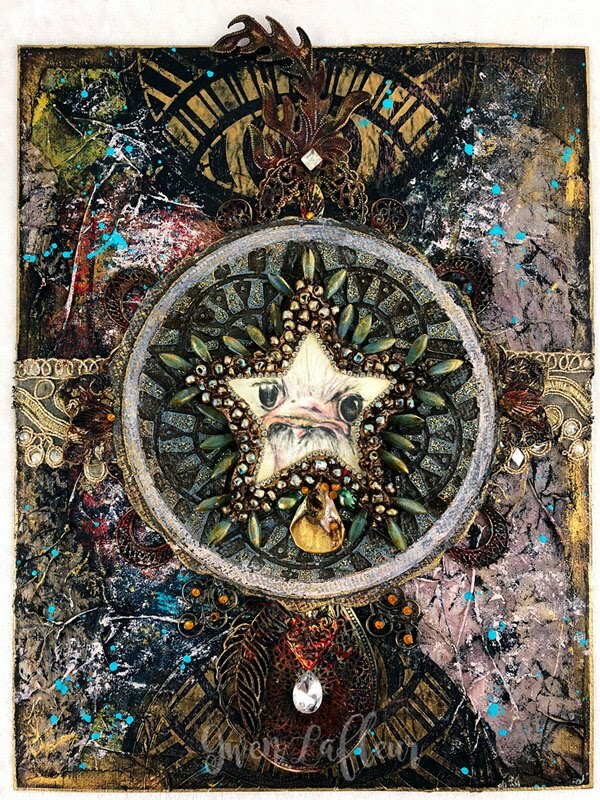 The process of discovery takes time and it involves uncovering what is hidden and reconsidering what is known. 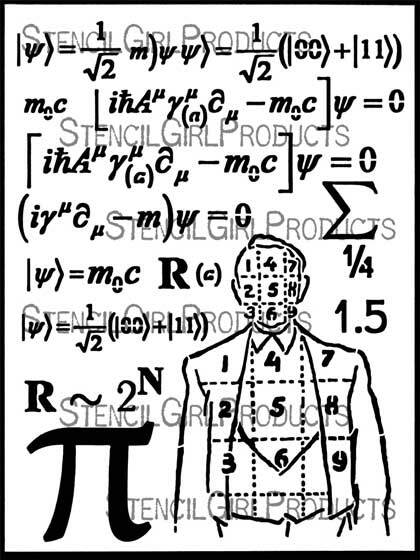 Cat Kerr’s Math Man Stencil was inspired by that process. Use the equations or man in his vintage attire alone or together, quietly as a background or as a focal in the foreground of your art. 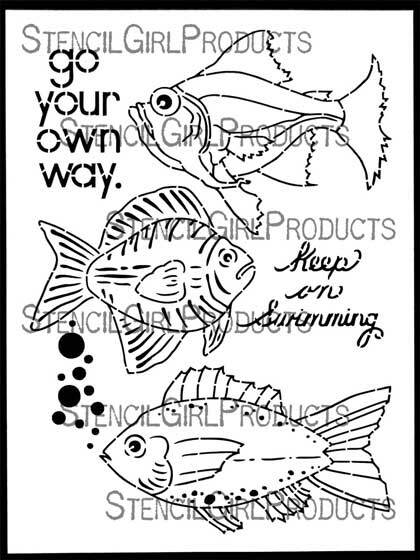 Gwen's idea for the first six stencils in her Boho Collection came as she was working one one of her Boho collaged fish. 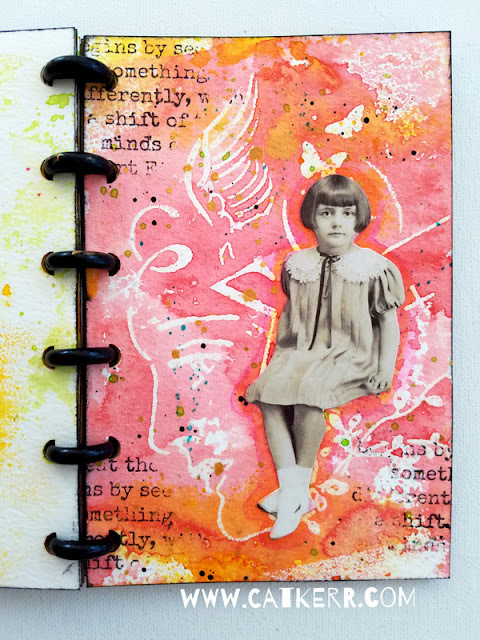 Gwen writes: "It suddenly struck me how cool it would be to have stencils to use as patterns for my different collaged shapes. 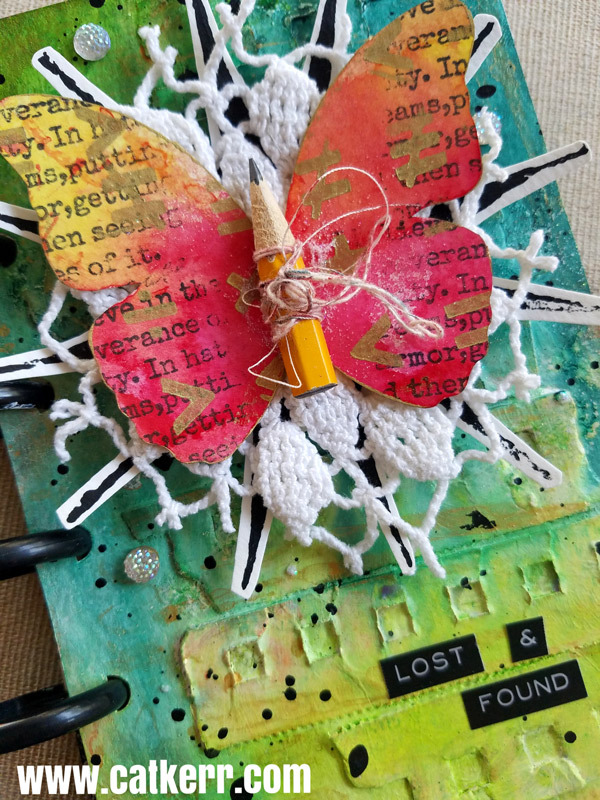 I kept that idea percolating in the back of my head, and then after I started doing 3D Boho collages earlier this year, the idea for how I wanted to design these stencils finally emerged. The goal was to create patterns that would be versatile - you could use them as is to stencil animals or shapes into art journals or onto cards, backgrounds, tags, etc... but that they would also work as patterns for my Boho collage techniques - both flat and dimensional. 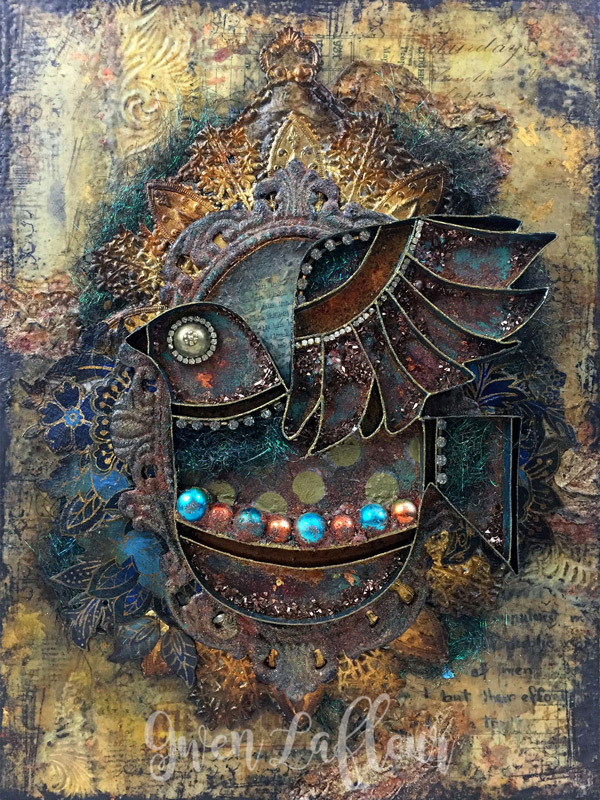 The animals came from the original patterns I was already using for these techniques and I then expanded to add more variations, and the circles were inspired by some hand-carved woodblocks I found while visiting India last year." 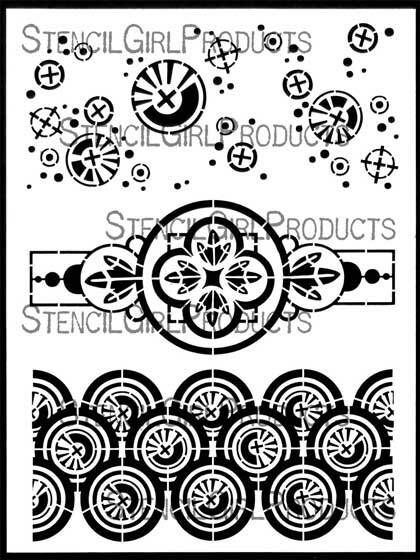 The Collage Patterns and Textures, Circles Stencil is the first of what I hope will be many in a new series of designs that was conceived for creating your own collage papers. I love to stencil on loose papers where I've cleaned off my paint brushes or done some monoprinting, creating great collage fodder in the process. 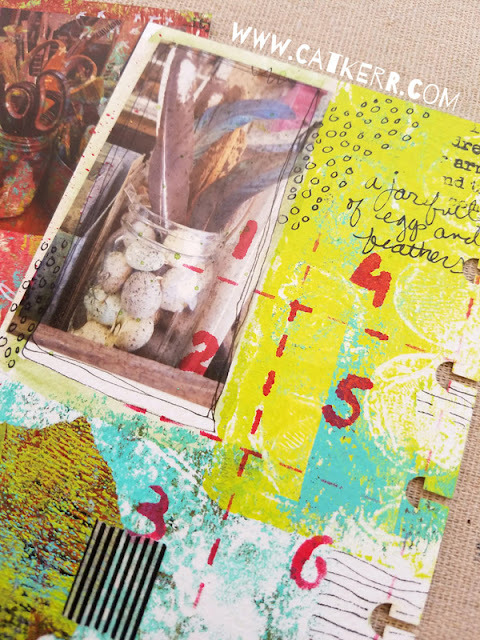 (It's also great for adding texture, pattern, and background designs!) 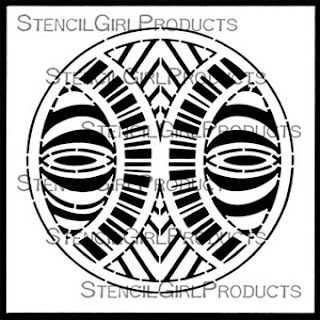 I thought it would be fun to have some stencils designed especially with this process in mind, and of course, circles and Xs had to come first. 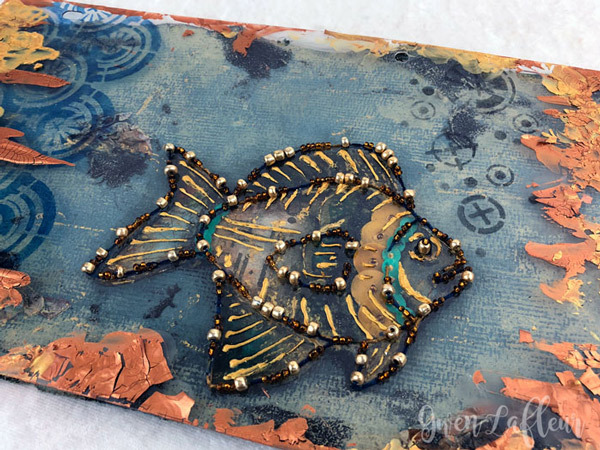 The Boho Fish Stencil was inspired by Gwen's Boho collaged fish - in fact, the bottom fish features an enhanced version of her original hand-drawn pattern! 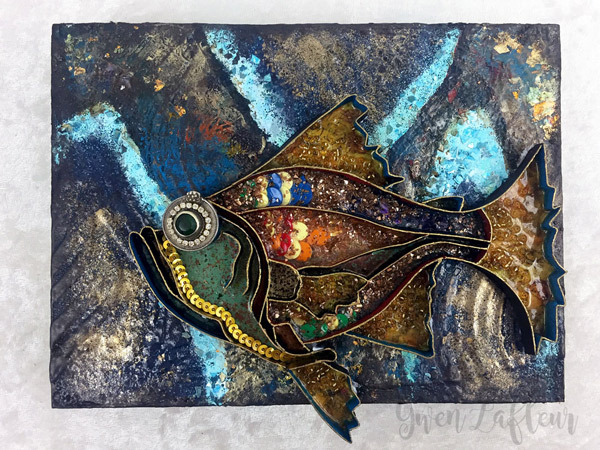 There are two more fish and two hand-written phrases perfect for bringing the mysteries of the deep blue sea into your art! The Boho Butterflies Stencil was inspired by Gwen's boho collaged animals and her love of butterflies as a symbol of change and transition (and the fact that they're just beautiful!) 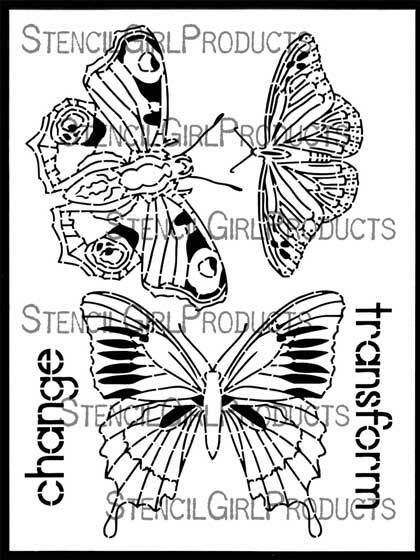 This stencil features three hand-drawn butterfly designs, including, of course, a peacock butterfly! 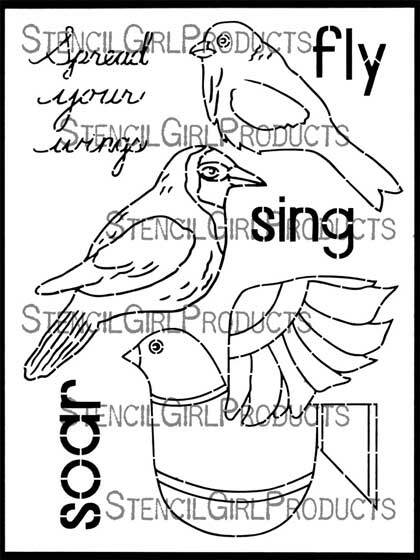 The Boho Birds Stencil was inspired by Gwen's love of creating collaged animals to use in her artwork, and features three hand-drawn birds - some more realistic and some more stylized, as well as handwritten words and phrases. The Boho Mandala Circle and Star Circle Stencils were inspired by the incredible hand-carved woodblocks that Gwen saw and used while visiting India. 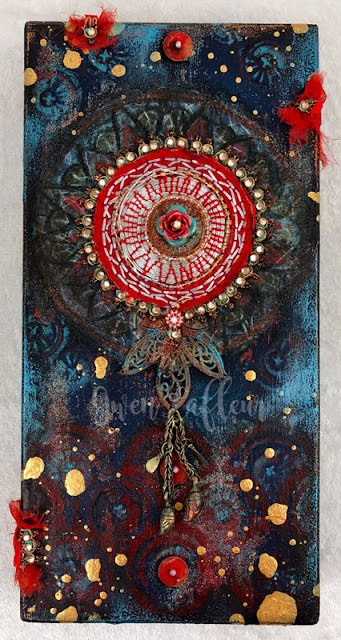 For this design, she created a modified mandala in the style of a woodblock that's perfect as a base for layering, but it can also be used as a focal point or repeated and overlapped for a background in your art. 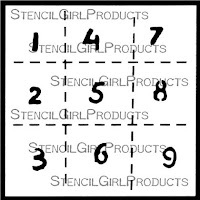 Discover all the newest stencils HERE. Sign up for our Scoop and never miss a stencil release notice! Did you know that here in Victoria Australia we have a place called Boho, and Boho South is where I live for some of the year. There is nothing but a road junction at Boho, but at Boho South we have a tennis court, church, church hall and a telephone exchange. WOW Ladies! 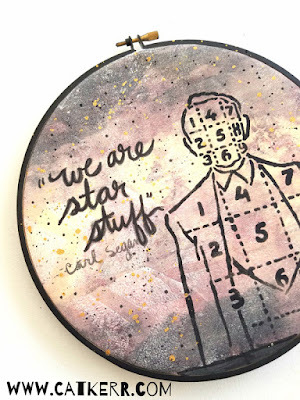 Outstanding new stencils and the artwork? WOW WOW and WOW!! The inspiration is never ending! Thanks Jackie! 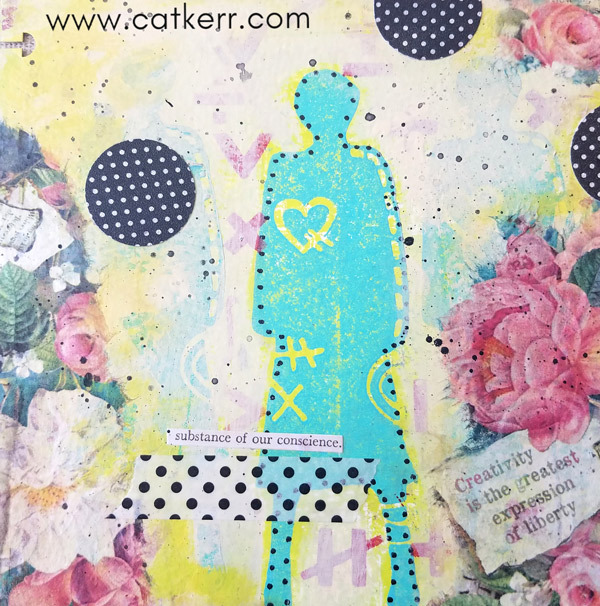 I'm really loving Cat's stencils too... so many ideas for how I could use those! 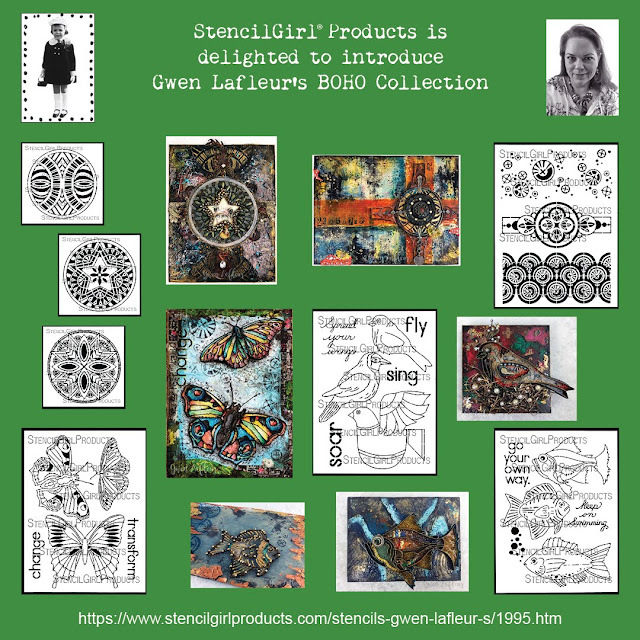 Over the moon excited about these and an honor to be featured with the amazing Gwen and her GORGEOUS line! Right back at you Cat! I love the concept behind your new designs, and they came out great! I have so many ideas for how I want to use them! 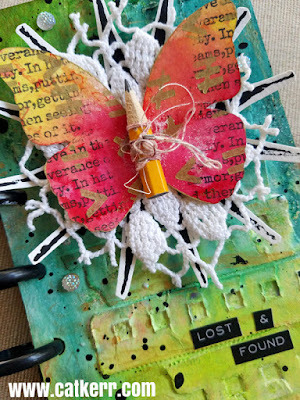 Cat Kerr - love your video tutorial and the resulting journal! 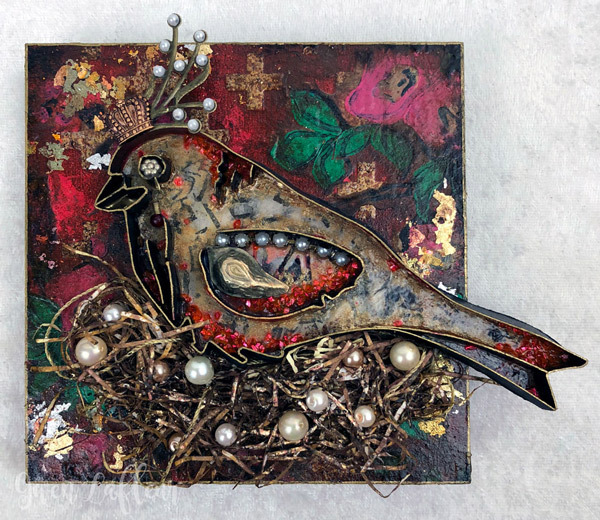 Gwen Lafleur - love your 3-dimensional birds!